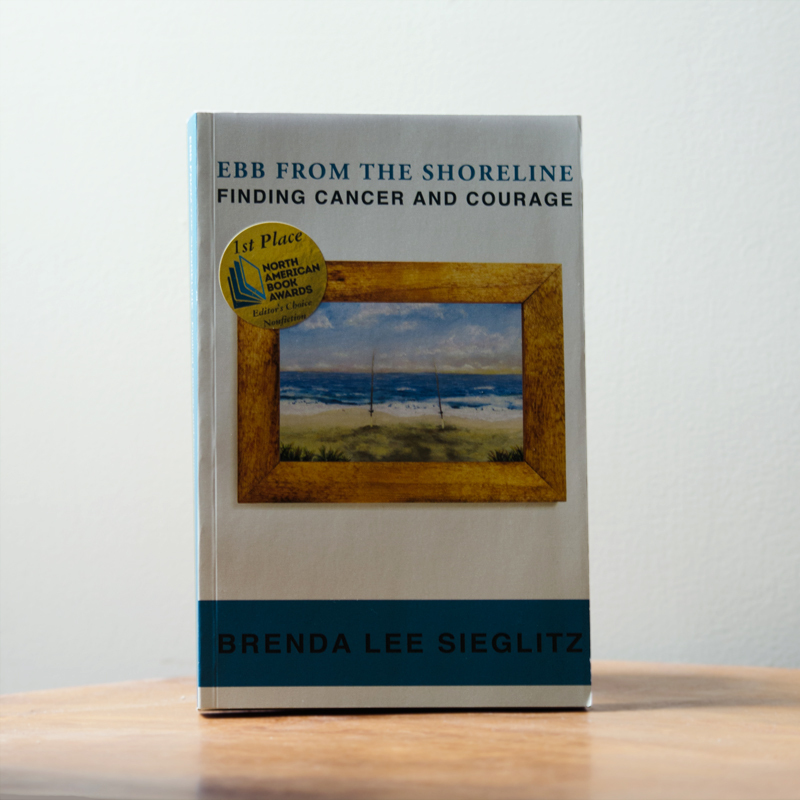 Ebb from the Shoreline: Finding Cancer and Courage is also available in Kindle format through Amazon. Visit Amazon.com to purchase your digital copy today. I had an idea of what a good husband and a good relationship should be; as I entered adulthood, I imagined a husband who would support me in my career, have similar interest and tastes, and be cute to boot. Kevin encompassed all of those things, and our relationship was passionate and intense from the first moment we spoke. I expected to have occasional arguments and financial concerns as we started off. What I didn’t expect was only having a year and a half of marriage to a man who would fall ill to cancer in his 30s. I didn’t expect it to be one of the rarest cancers in the world. I didn’t expect him to die four months after his diagnosis. These were things I never expected as a newlywed. Ebb from the Shoreline is the story of how I met and fell in love with my husband online and the challenges of our long distance relationship and battle with the United States immigration process so that we could be wed. Each story is reflected against the blog entries I wrote during Kevin’s fight against a rare Angiosarcoma tumor that threatened his young life. “The story effectively interweaves the meeting and coming together of the author and her eventual husband, Kevin and her blog about his initial diagnosis and treatment. Each storyline compliments the other despite some glitches such as repetitive words. But the author’s solid sense of story keeps the action going, although using dialogue would help bring the characters more to life and the conflict into sharper relief. The blog portion has a different energy and immediacy; the emotionality serves as a nice counterbalance. Readers may be curious about “what happened after” – how she dealt with the crisis of faith that occurred when she realized that the fallacy of not being given more than she could handle and how she overcame her grief so she could love again. A sequel, perhaps?” – Judge, 23rd Annual Writer’s Digest Self-Published Book Awards.